Normally, at this age you are just finding your way in the world. 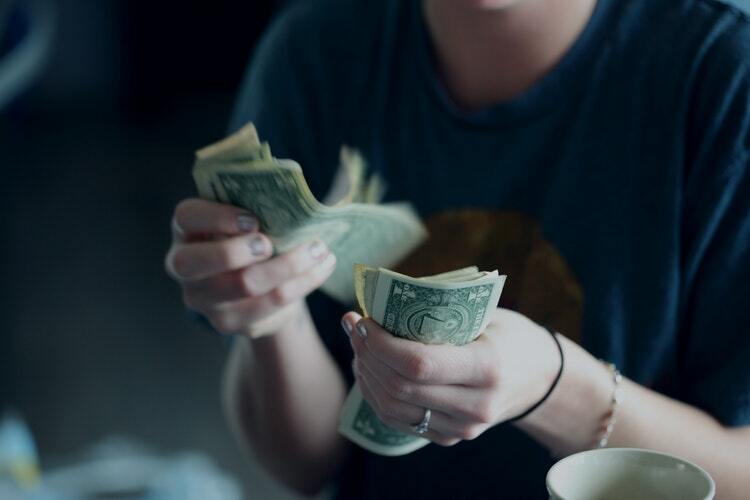 When you just start out in the work force, or work part-time whilst studying, you may not earn a whole lot of money, so it may seem implausible to start thinking about retirement so soon. Any money you earn will normally be allocated to things like paying rent/board, going out, buying a wardrobe of new clothes, getting a phone, laptop or other toys/tools of your chosen field that you need, travel or your first (or second) car. However, there are a number of really practical things you can invest in at this age. Invest in your education! It is never too early to start to learn about investing and there are many low-cost or free resources both on and off-line that could help to get you started. Develop good money habits. Learn how to create a budget (and stick to it). A valuable skill is to keep a handle on how much you earn Vs how much you spend. You’ve probably been in the work force now for a few years and hopefully you are starting to get on top of your personal finances. Perhaps, you have even joined up with a life partner, and have now doubled up your income potential. So, what can we do at this age to get ahead? Cars are generally a depreciating asset, meaning that their value starts dropping as soon as you drive it off the showroom floor. Consider, driving a less expensive (but safe and serviceable) second-hand car and allocate those additional funds towards growth assets instead. Consider the strategy of Rentvesting. At this age it may be more advantageous both financially and from a lifestyle perspective to buy an investment property BEFORE buying your own home. That is rather than buying your first home you buy your first investment property instead and let the tenant and the tax man help you pay for it! Even if you are more focused on raising the kids through this age bracket than thinking about investing for the future, what can you do to keep moving forward? Having your money readily available via a Line Of Credit, or Offset, facility means you should have the flexibility to absorb any of life’s unexpected bills whilst continuing to keeping your mortgage costs as low as possible. Can you afford an Investment Property as well? A good quality investment property, after accounting for the rent from the tenant, and any tax deductions, may only require $20, $50 or $100 a week to own in partnership with a lender. Or the right property might even put a similar amount of money back into your pockets each week. Now is the time to take advantage of all the hard work and sacrifices you have put in over the last 20-30 years. So, what can you do to accelerate your wealth position? Use Other People’s Money (O.P.M) To Your Advantage This is generally the time when you will be at your peak earnings capacity. It is also often the time where banks and lenders are happiest to partner with you on your wealth journey. Given, that you may never have the ability to borrow more easily than now so consider your relationship to debt and decide if safe degrees of leverage can help you get to your wealth goals sooner. Supercharge your Superannuation: If the kids have left the nest, you may now have more disposable income to start accelerating your asset purchases. You might also want to consider salary sacrificing, &/or making voluntary contributions to further boost your superannuation throughout this decade. For those that have seen good gains in equity on their home &/or investment properties now may be a good time to look at consolidating your asset position &/or maximizing your cash-flows. Go Smaller for a Bigger Retirement: Now is the time in life where you might be able to consider downsizing the family home. For example, you might look to sell the 5BR family home on a larger block and move into a low-maintenance smaller property example in an amenity rich location. Or perhaps it is time for that sea or tree change you have always wanted? In Retirement Cash is Still King: Perhaps now is also the right time to look at rebalancing your portfolio or reducing your debt levels to provide for the income you will need to fund your ideal lifestyle into retirement. Or at least have plans in place as to how you are going to transition effectively into your retirement years. Have a Plan. We travel all around Australia educating thousands of Australians every year on how to use property to better help them achieve their financial goals and are consistently shocked with how few people actually have a considered property investment plan. It Pays To Get Educated. Unfortunately, decades of financial and banking scandals, have shown us that it is can be hard to know who and what to trust. That is why we always recommend that you increase your knowledge base and get well educated in any markets you may want to be investing into.